Update: This bill passed by a vote of 93 to 73 shortly before 11 PM on Thursday, March 7, crossover day. 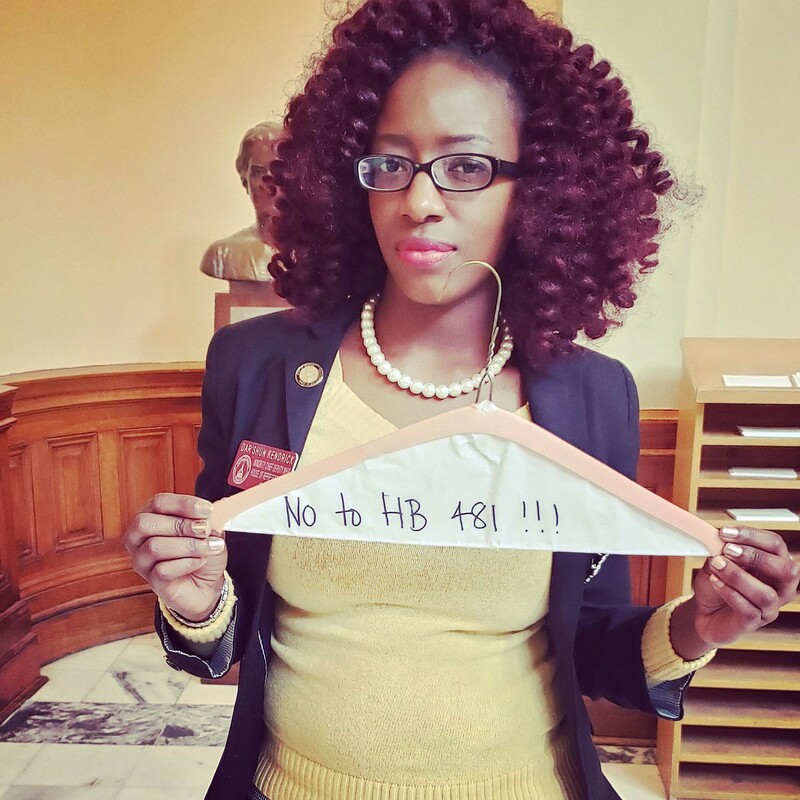 One day before a critical legislative deadline, HB 481 — which is effectively a total abortion ban — passed out of the Georgia House Health and Human Services committee by a party line vote of 17 to 14. By the following afternoon, several women of the House Democratic Caucus organized opposition to the bill, while Republican Governor Brian Kemp endorsed the measure. On Wednesday night (March 6), the Health and Human Services committee heard three hours of testimony on a controversial heartbeat bill proposed by state Rep. Ed Setzler (R-Acworth). That measure passed by a party line vote of seventeen to fourteen, and advanced ahead of the Governor’s proposed “trigger law” legislation. “This is medically sound and legally sound,” Setzler said repeatedly throughout the hearing. He also stated this bill was an attempt at a “bipartisan” compromise, noting his own views that legal protections should start at conception, without exceptions. House Bill 481, dubbed the ‘Living Infants Fairness and Equality (LIFE) Act’ by sponsors, would ban abortion when fetal heart tones can be detected at six weeks into a pregnancy. Both because most people do not know they are pregnant until farther along into their first trimester, and most abortions cannot be performed until after five weeks, this bill effectively bans abortions. A matching bill in the state Senate never made it out of committee. More than a dozen other states have proposed similar measures since the beginning of 2019. However, laws like this have consistently been shot down in courts, as six week abortion bans effectively ban abortion. He wouldn’t speculate on what might happen to the bill on Crossover Day: the 28th day of Georgia’s part-time, 40 day legislative session, and the last day a bill can pass out of at least one chamber and ‘cross over’ to the other chamber. This year if falls on Thursday, March 7. On Thursday morning, several legislators showed up with wire hangers and containers of bleach, with messages like “No to HB 481” and “This hanger is an abortion device.” They later organized a press conference opposing the measure, and have filed a minority report opposing the bill, which would give them extra time should the measure come up for debate on the state House floor. Shortly after the press conference, Gov. Kemp came out with a short video on Twitter supporting the measure. “I applaud the Health and Human Services committee for advancing legislation to protect the unborn. I encourage the House and the Senate to do the same. This is a powerful moment in Georgia,” Kemp says in the video. During Wednesday’s committee hearing, two state representatives — Reps. Park Cannon (D-Atlanta) and Renitta Shannon (D-Decatur) — shared with the committee that they have each had an abortion before testifying against the bill. “I stand here today confident in my decision to terminate my pregnancy when I was sexually assaulted in 2010,” Cannon said. “I had an abortion almost 20 years ago, I did not regret the decision then and I do not regret it today,” Shannon shared in her own testimony. A substitute of the original bill was made available to the committee less than a hour before the committee hearing began, while both anti- and pro- choice advocates filled the room on rumors that at least one abortion bill would be heard. However, an agenda was not publicly available until about half an hour before the meeting. Speakers in support of the bill included Dr. Kathi Altman who is a former abortion provider that recently spoke at March for Life’s annual dinner. She has also testified about this issue in other states. “We have convinced our young women that an unplanned pregnancy is the worst thing that could happen to them, and that their right to reproductive freedom is more important than their babies right to live. Because we can’t see who they will become, we feel justified in sacrificing babies in the womb for the convenience of those that we can see,” she told the committee. “By effectively outlawing abortion in the state of Georgia, Republicans are drawing the line in the sand to hand over their re-elections in 2020. They have made it clear that passing legislation without fiscal notes, medical accuracy and public notice are what Georgians deserve,” she said. 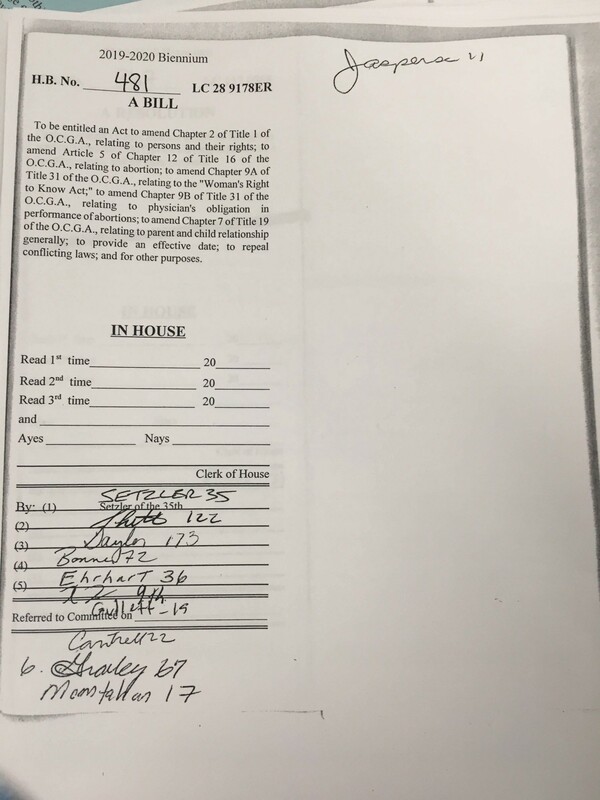 The only change to the bill in committee was an amendment from Chairwomen Sharon Cooper (R-Marietta) to add exceptions for “medically futile” pregnancies, specifically: fetal anomalies that are incompatible with life. Approximately a dozen other amendments authored by Rep. Cannon and offered by democrats were rejected. Rep. Cooper cited, as an example in support of her amendment, the medical condition anencephaly, when a fetus does not develop parts of their skull and brain. Rachel Guy, from the organization Save the 1, who testified earlier about her personal story of being diagnosed with a fetal anomaly, spoke against the amendment as well. “We are as alive inside the womb as we are outside. So to claim that we are incompatible with life inside is womb is a fallacy,” Guy argued. That amendment passed unanimously, but not before the Suzanne Guy left the room shouting “shame on you,” at the committee for considering the amendment. Suzanne Guy is the mother of Rachel Mary Guy, and also a speaker trained by Save the 1. The other speakers in support of the bill included Heather Hobbs, an out of state speaker also from Save the 1, and Daphne Harris Nicely, the executive director of a pregnancy resource center called Atlanta Morning Center. The speakers in opposition to the bill included : Dr. Al Scott, the President-Elect of the Georgia OB/Gyn Society; Dr. Melissa Kottke, an OB/Gyn professor at Emory; Dr. Roger Rochat, a professor at the Rollins School of Public Health at Emory, and Dr. Krystal Redman, the executive director of the black-led reproductive justice organization SPARK RJ NOW. Dr. Rochat’s testimony included the story of investigating the death of a young college student who attempted to self abort because she did not want to tell her parents she was pregnant. She ended up perforating her cervix with a coat hanger and died. The minority party asked for a roll call vote — instead of the usual voice voting that happen in both the House and the Senate — and the result was a 17 to 14 split in favor of the bill along party lines. The other abortion bill before the committee, House Bill 546, would make Georgia a state that immediately bans abortion should the Supreme Court overturn Roe v. Wade. That bill was tabled by the sponsor and one of the governor’s floor leaders, Rep. Jodi Lott (R-Evans), shortly before the committee adjourned. Majority Whip state Rep. Trey Kelley (R-Cedartown) asked for clarification that the Governor would support the heartbeat bill in lieu of getting his own bill considered by the committee in time to pass for crossover day. Lott did not commit the Governor to supporting the bill, but strongly indicated he would. And by Thursday, the Governor, had indeed come out in support of the total abortion ban. Now it is a race against the clock to try to get the bill over the finish line by midnight Thursday. Writer & freelance reporter based out of Atlanta, Ga. Queer to my bones; southerner born and raised. Find my book at: bit.ly/AriWrites.